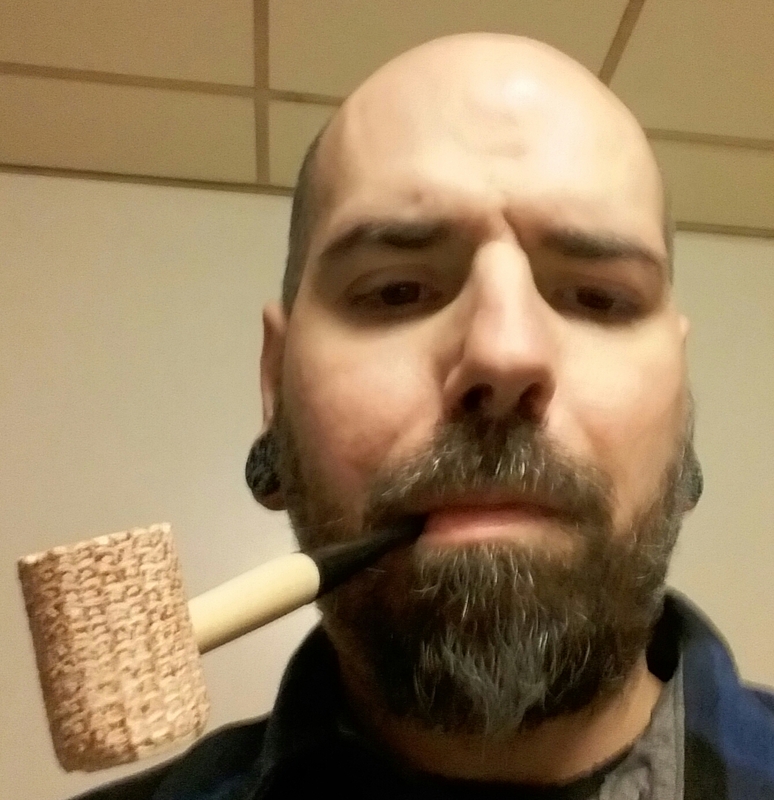 Dr. Grabow with clogged stem? The clog is in the stem. The stummel is wide open as one would expect from Grabow. I can easily pass a cleaner through it now. You are good. I have never heard of this, but things happen. Good to hear, after you clean it up with files roll or fold some 800 grit wet/dry to fit and smooth it. I follow up any changing of stem internals by polishing them. Churchwarden pipe cleaners, one end secured to something, get a little toothpaste in the stem where you can and spread some on the free end of the cleaner. Slid the stem on, hold the free end with one hand, and work it back and forth, not aggresively, you can wear odd grooves into the button and with ABS plastic you can really dig in if not careful. Also Grabow does not pre smoke anymore, has not for many years though they still have the machine set up but it would be illegal to use anyway now since they're a place of business and smoking, even for machines, is banned. While not totally necessary, I've been known to buff out the inside of stems I opened up by threading a polish covered pipe cleaner up the tenon end, stopping just before the button. I chuck the end of the pipe cleaner still sticking out of the tenon into a cordless drill and run it slow. It will put a mirror shine on the airway, but I can not stress enough how careful you need to be to not let the pipe cleaner exit the button end, as it can definitely burn the button like TM said above. Also do not put any lateral force on the cleaner, just let it spin freely. I still have not polished an airway. Normally they just get a good cleaning with scrubbies and isopropyl. Is there a reason to polish them? I generally only do it if I can see/feel roughness while passing a pipe cleaner, or if a stem tends to collect funk/pipe cleaner fuzzies more than usual. More often than not it's a bent stem that has those sort of problems, in my experience anyway. If you think about pipe engineering though, it's sort of similar to how you polish and port match intake manifolds, etc. I imagine it might decrease turbulence a bit if the drilling on the stem was sorta rough, like in the case of many factory pipes. Maybe the other time I'd do it is if I soaked an old oxidized stem in oxyclean, since the inside of the airway gets oxidized too.